Today was one of those days – we’ve all had them. I was ready to come home and be left alone. 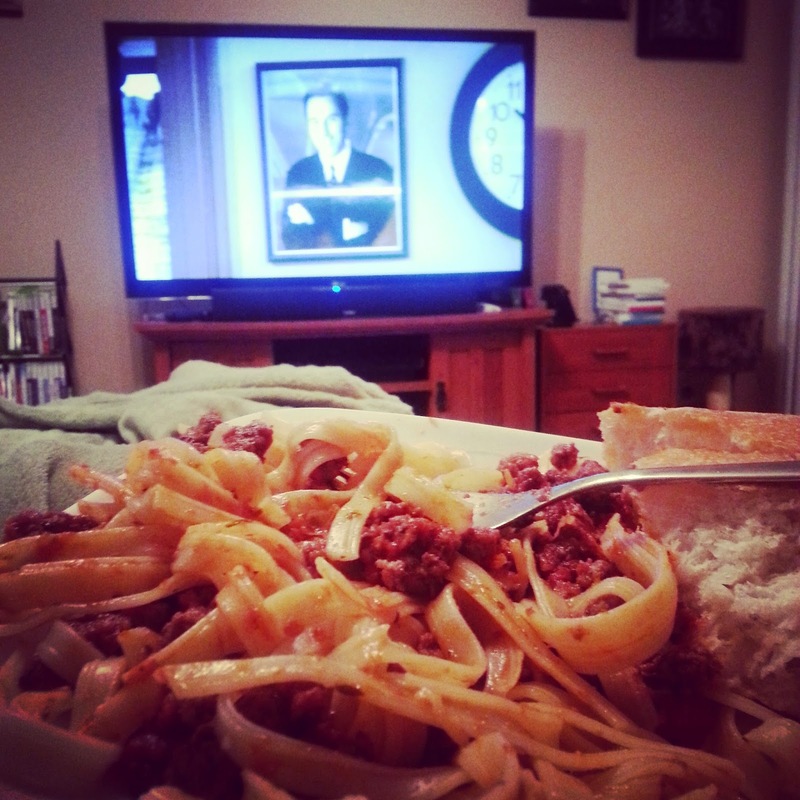 However, I was greeted with spaghetti and bread and one of my favorite shows, Friends. A friendly dinner can cure most problems. What’s your cure to a day’s stress?